On May 8, 2009, as Governor Palin delineated above, Exxon-Mobil began drilling its Pt. Thomson well at 0230 local time. 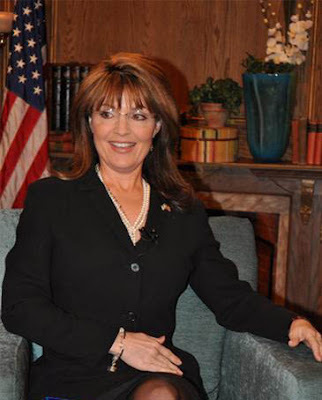 Governor Palin attended a luncheon on June 3, 2009 to express her appreciation to Exxon-Mobil for moving forward with the project. In 46 years, you have achieved more than most could do in multiple lifetimes. For the little girl who tried to fly, you have reached unimaginable heights, yet your best is yet to come! On the night of the anniversary of Ronald Reagan’s birth, the world watched as you were officially summoned to serve once again, and carry his torch. Regardless of the path you choose, you will always have our support and loyalty. You are our voice. Our vigil is posted 24 hours a day, 7 days a week. 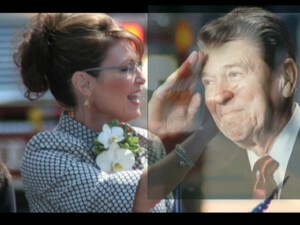 I decided to go rogue with the governor and allow my hand to do the talking: HAPPY BIRTHDAY, GOVERNOR PALIN! Thank you for all that you do for this country. Thank you for your common sense conservatism. Thank you for being willing to stand up for freedom and for refusing to sit down and shut up, no matter what. You have inspired so many of us to do the same! God bless you. 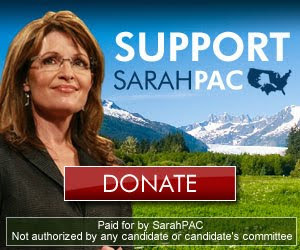 In honor of the governor’s birthday and the good work her political action committee does, many Palin supporters are donating to SarahPAC today. Consider giving $46.00 on her 46th birthday. Click here to donate.